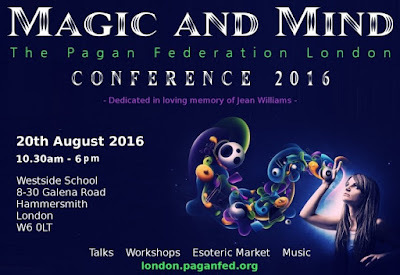 A bad witch's blog: Who Will Be At The PF London Conference Tomorrow? Who Will Be At The PF London Conference Tomorrow? I almost wish I wasn't giving a talk though, because I think I'd rather be listening to the people speaking at the same time as me, 11am. It is also hard to choose what to go to next as there are three things that sound really interesting straight after that. However, I shouldn't really complain that there are too many interesting things to do, should I? There's also an esoteric market and I'm intending to doing a bit of browsing and maybe some shopping. I know The Atlantis Bookshop is running the book stall there and I understand shop owner Geraldine Beskin should have a few copies of my own book - Pagan Portals - Candle Magic - on sale, which is very nice of her. After the closing ritual, there will be the chance to dance to live music from Spriggan Mist. 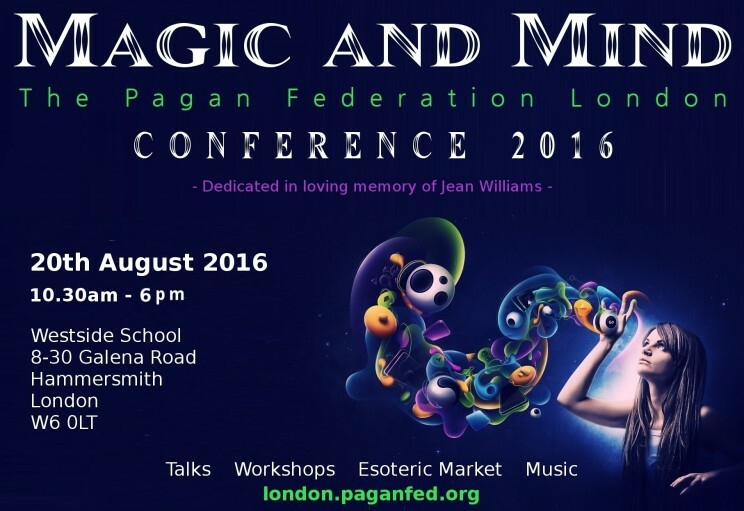 The Pagan Federation London Conference - Magic and Mind is on from 10.30am on Saturday 20 August at Westside Academy, 8-30, Galena Road, Hammersmith, London W6 0LT. I understand there is good disabled access in the building and the nearest Tube station is Ravenscourt Park. Tickets are best bought in advance and are £12 for PF members and £18 for non-members, but once you are inside all the talks and workshops are completely free to attend. 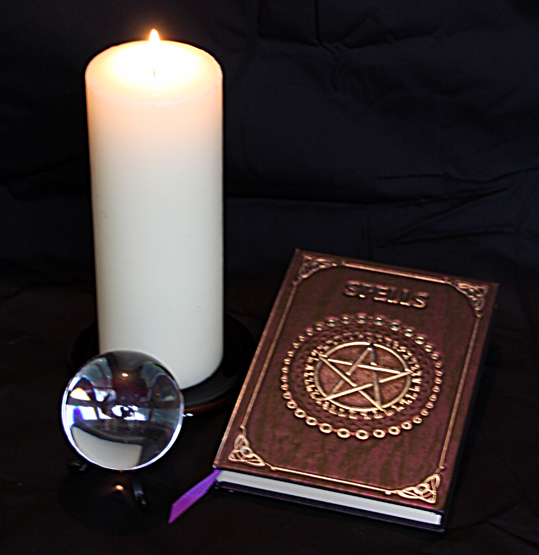 The photo showing my crystal ball, candle and a book of spells is copyright myself, Lucya Starza. If you wish to use it elsewhere, please credit Lucya Starza and www.badwitch.co.uk. Good luck with the talk .